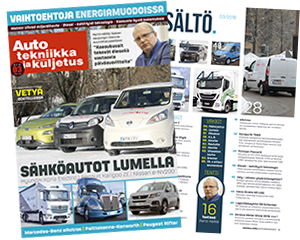 Tiedoston voi vaihtaa 4 kertaa 12 kk:n ilmoitusjakson aikana. Mainoksesta tehdään linkki ilmoittajan haluamalle sivulle. Ilmoittajan sivu aukeaa uuteen ikkunaan. 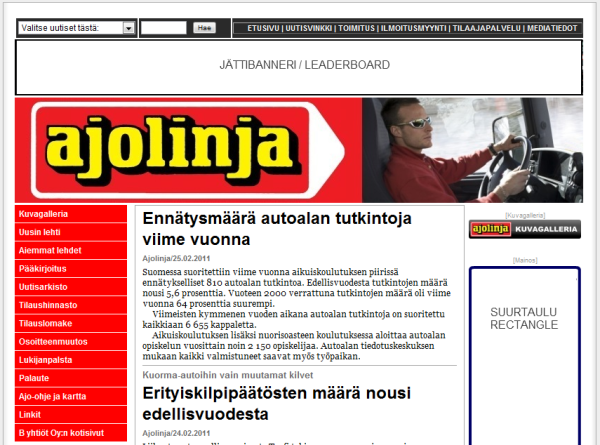 Bannerit näkyvät kunkin lehden jokaisella sivulla. Banner may function as a click-thru to a website defined by client. Website open to new window. Rectangle banners (max. 3 pcs) will be placed on top of one another according to booking order. Leaderboard banners appear one at a time on the requested website. All banners appear on every page of the requested website. For more information contact online media sales.